Approaching mid morning at the Clik ponds in Viera, Melbourne, FL on April 3, 2018. The birds were active on the east side, which made for good lighting that pleased both my friend Terri and me. I thought that the whistling came from its wings, but research told me they really do have a whistle in their call. And they are more goose- or swan-like than duck-like. 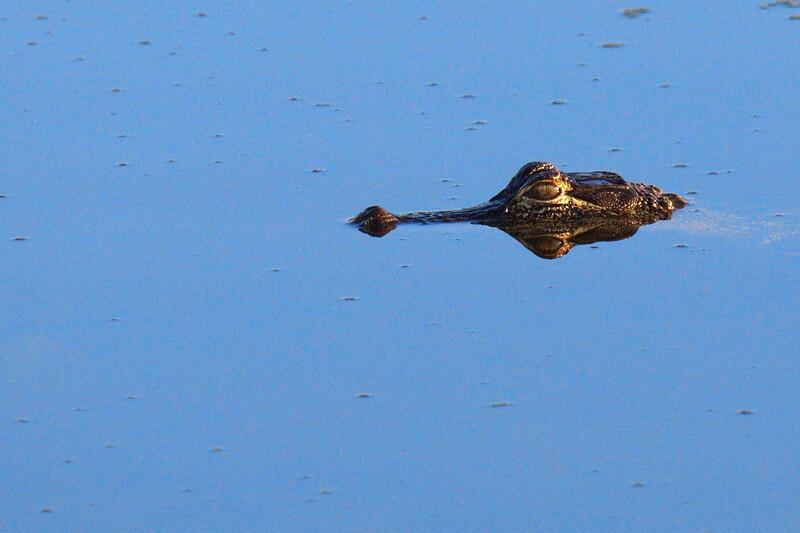 This smallish alligator floats very still with nostrils and eyes above the surface, looking for something to eat. When it comes time to grab something alligators are very fast. Still fuzzy with down, these three siblings await their parents' (mom or dad; they both incubate and feed their young) return with food. These three are older than the previous three. 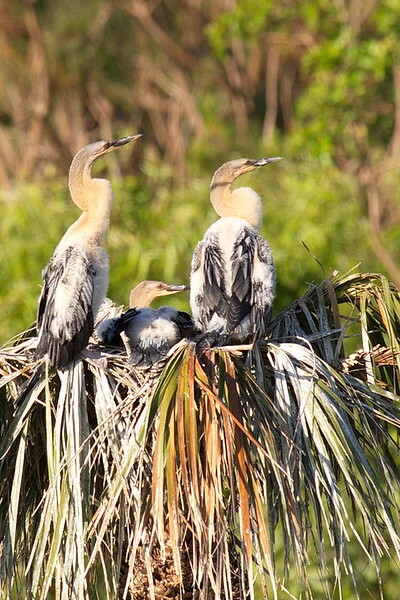 Notice the darker backs as they slowly gain their adult plumage. What the ...? 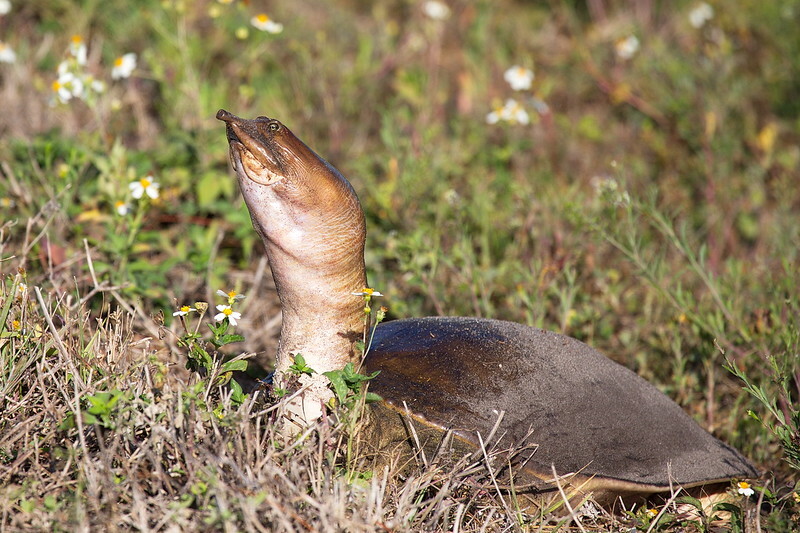 This Florida Softshell turtle is certainly different. 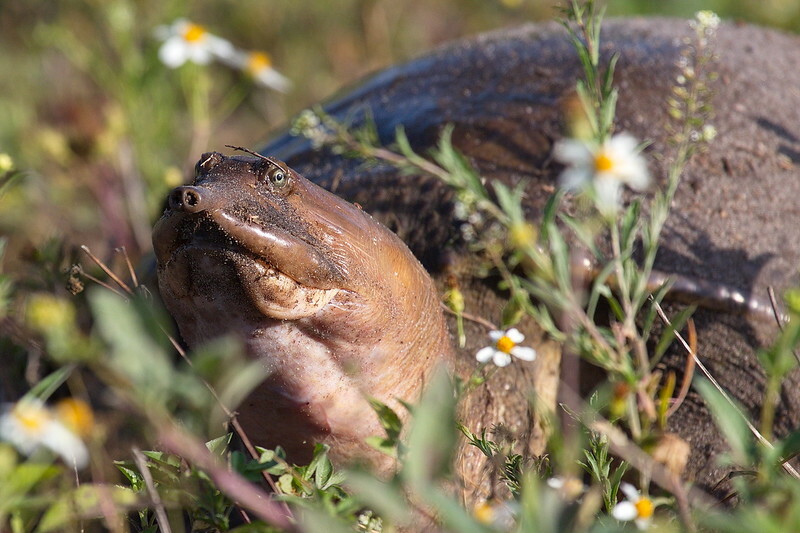 With a nose only Jimmy Durante could love, and a flat, pancake-like carapace (upper shell), this is one strange beast. Here's a close-up so you can get to know him or her better. It's almost a selfie! 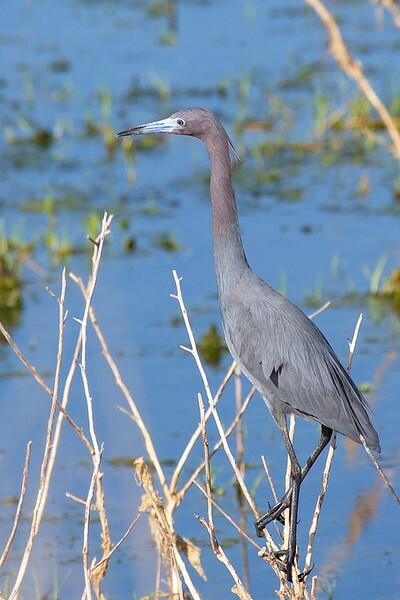 This little blue heron takes an elevated perch to look for food. 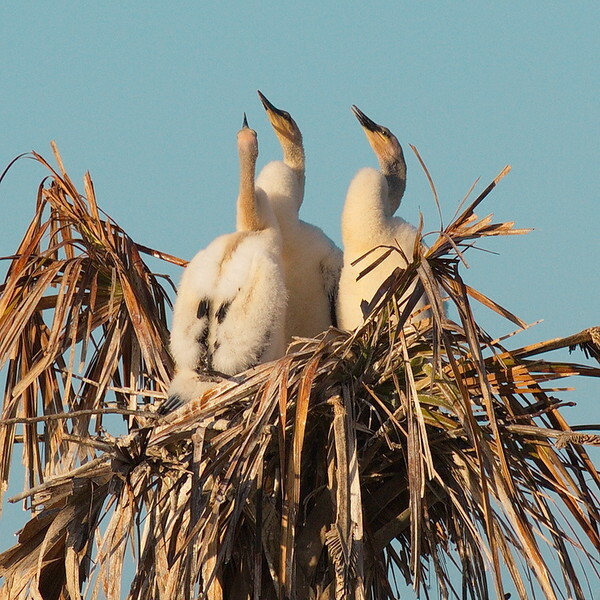 Some birds look so much like others that they are difficult to tell apart. 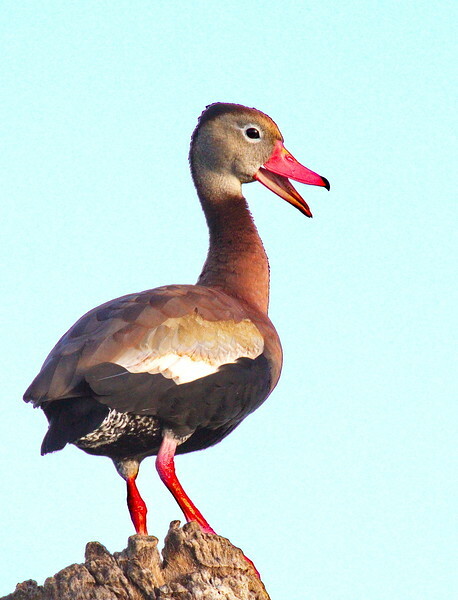 No other bird, at least not in the U.S., is colored like this juvenile. There is no mistaking what this is. 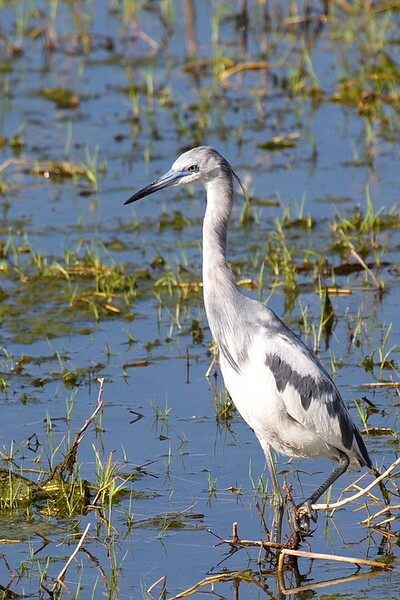 Terri and I got lucky in that we found a group of wading birds who found a good buffet restaurant. 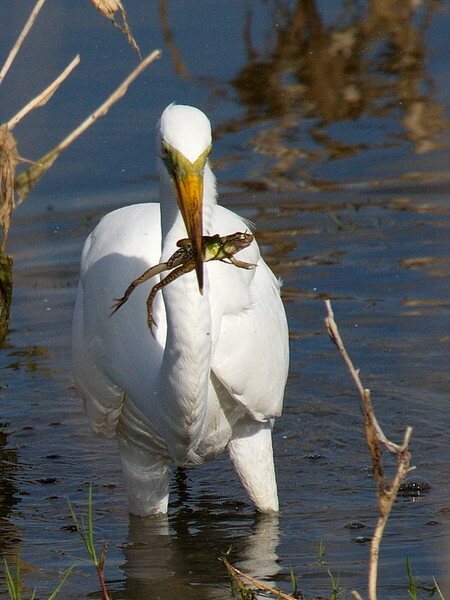 Here a great egret has selected a plump frog. 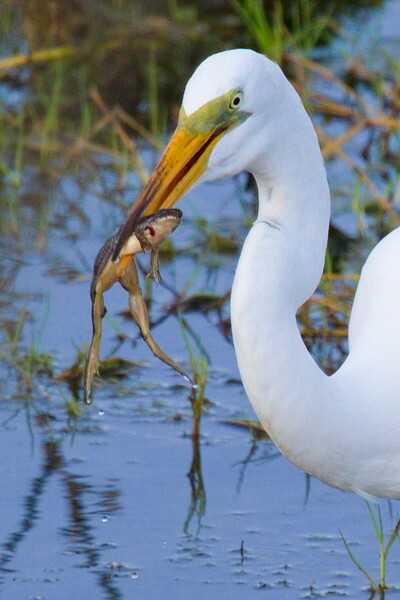 It takes a bit of finesse to reposition the frog so it goes down the egret's throat head first. 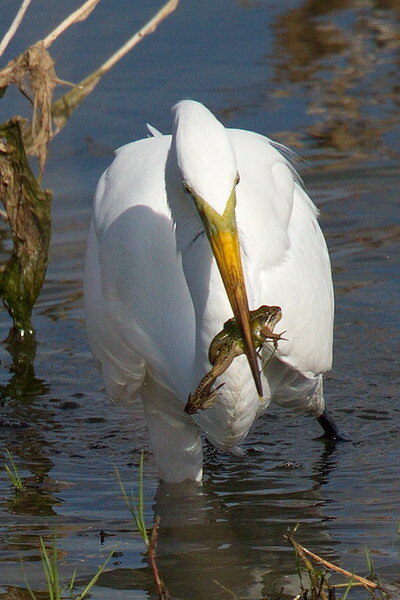 This is a different great egret with a different frog. But this frog's fate will be the same as the last frog's. 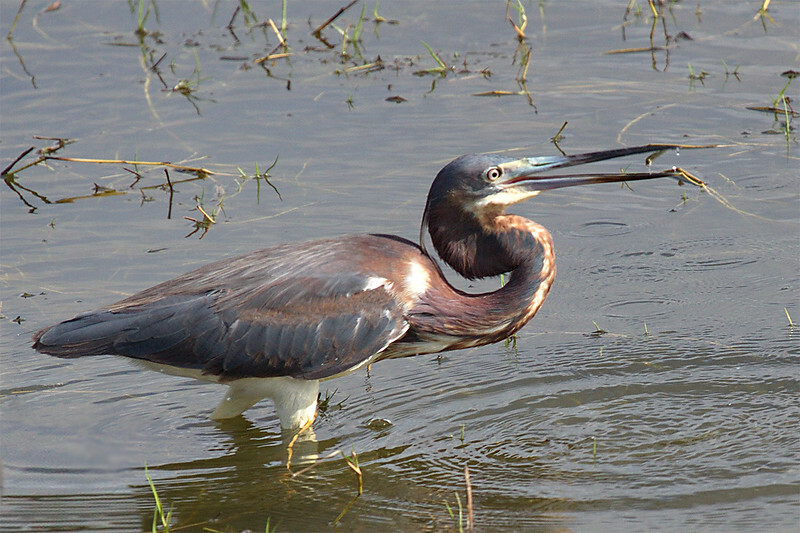 While not a frog, this little fish will provide some sustenance to this adult tri-colored heron. Again? 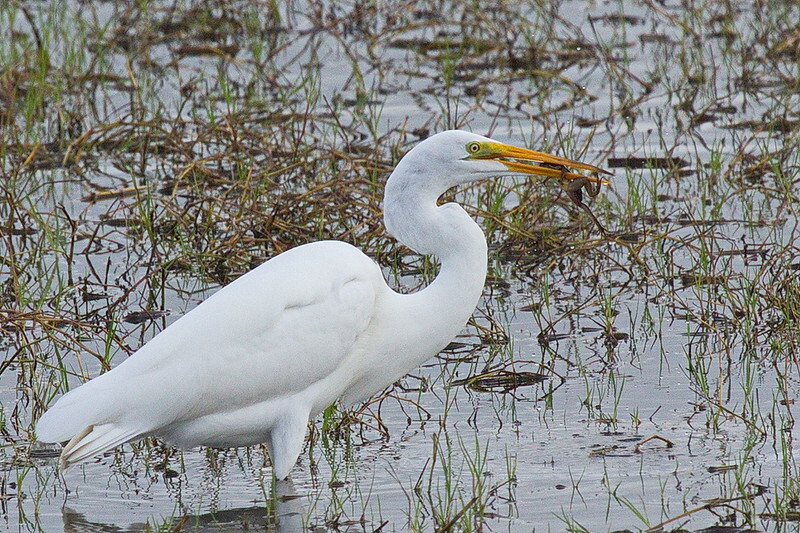 Another egret with another frog. If the egrets keep this up there will be no frogs left for the herons.